For a limited time on Amazon, you can pick up Aukey’s latest, the 20,000mAh Power Bank with AiPower Adaptive Charging for just $24.99, down from its usual price of $45. If you haven’t heard of AiPower Adaptive Charging, it’s pretty sweet. The technology automatically detects the connected device and provides maximum charge current according to device’s chipset, delivering the fastest charging speed possible for the device. This means that whether you have a Galaxy S6 or iPhone, you should always have a fast charge. 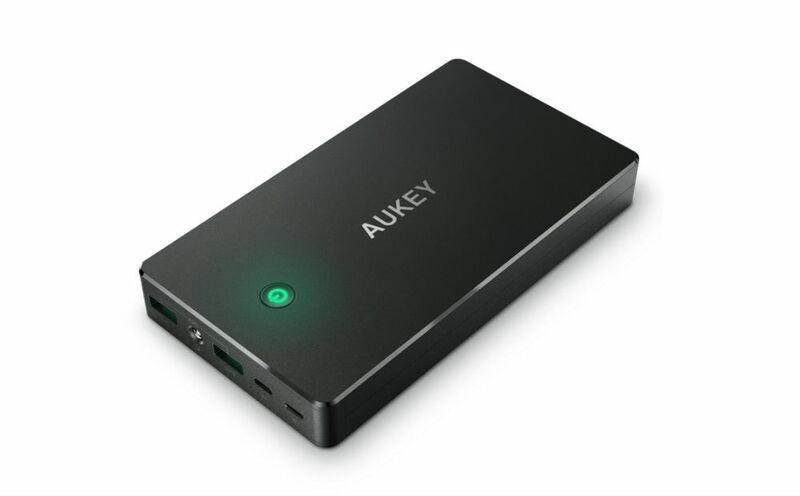 To spice up the device, Aukey built in a flashlight, which can be activated by pressing the Power button for 3 seconds. In terms of specs, the bank features Lightning and micro USB inputs, DC 5V 2A input when using a 2A charger, and comes with a micro USB Cable in the packaging. If you don’t need something portable, Aukey is also offering a deal on its Dual Port wall charging adapter. Regularly listed at over $20, you can grab it for $4.99. The adapter also features AiPower technology, although, it states that Qualcomm’s Quick Charge 2.0 is not supported. As for compatibility, pretty much all Android devices and iPhones are supported. To get the most savings, you will need the following coupon codes. At checkout on Amazon, plug them in and save a few bucks.